Dairy Farmers of America (DFA) is a national milk marketing cooperative owned by and focused on more than 14,000 dairy farmer members in 48 states. The Cooperative's core business is to market members' milk, pay them a competitive price, deliver value and be a leader in the industry. 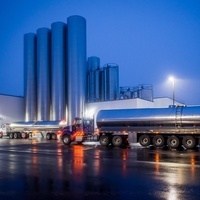 DFA is also one of the country's most diversified manufacturers of dairy products, food components and ingredients, and is a leader in formulating and packaging shelf-stable dairy products. Dennis Rodenbaugh, Chief Operating Officer offices within the DFA Windsor, Colorado offices which serve as the divisional base of operations for the Western U.S. fluid operations, a $4 billion business unit of DFA.